The Suns magnetic field and releases of plasma directly affect Earth and the rest of the solar system. 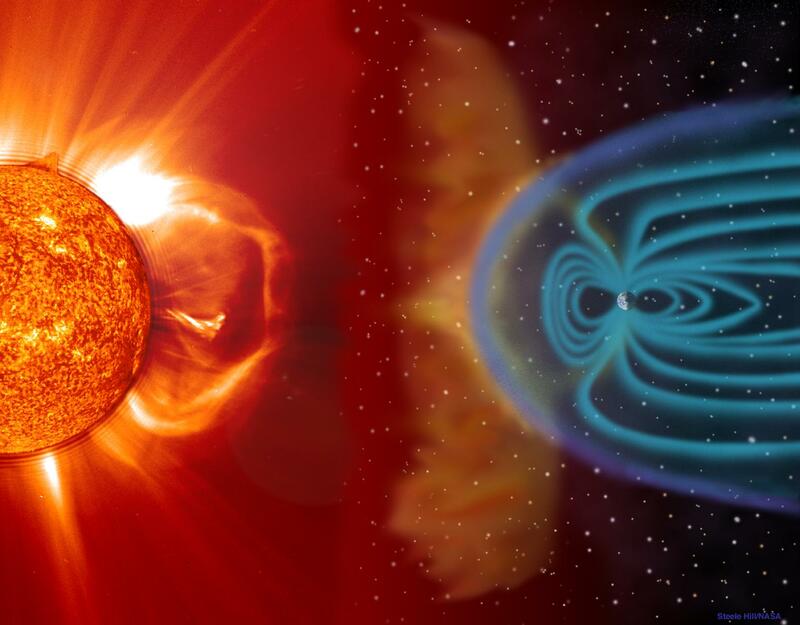 Solar wind shapes the Earths magnetosphere and magnetic storms are illustrated here as approaching Earth. These storms, which occur frequently, can disrupt communications and navigational equipment, damage satellites, and even cause blackouts. The white lines represent the solar wind; the purple line is the bow shock line; and the blue lines surrounding the Earth represent its protective magnetosphere. The magnetic cloud of plasma can extend to 30 million miles wide by the time it reaches earth.